The first step in starting up is recognizing the right opportunity. Most opportunities are easy to spot: Just look at the problems you are already facing. For instance, my first startup (founded in ’08) was a banner network for social media networks called AdParlor, which a work colleague and I started in order to solve a problem we were facing ourselves: The need to invest in advertising to gain users on Facebook apps. The idea for my second, BookMyCity, was hatched in 2012, when my girlfriend and I went for a mini-getaway to South Beach during “spa month.” We quickly discovered that there was no central location to book appointments for a service like spa treatments online (as you could for a restaurant table). A year later, BookMyCity was born to easily connect businesses and local customers online, managing availability and offering one-stop booking. Throughout both experiences, however, I learned that the only way to really seize opportunities like these is to go all in and really get to know the audience you’re serving. Get comfortable being uncomfortable. 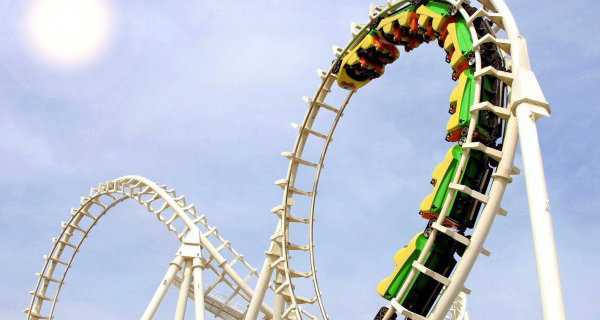 I like to call entrepreneurship a roller coaster. There are massive highs and massive lows. This is what drives me; the lows are inevitable, but the high coming from a massive low is exhilarating. Commit yourself. You can have results or excuses; not both. Set your personal bar and own it – your center of influence is you. Don’t do things halfway and don’t procrastinate. If you are committing to become an entrepreneur, then put yourself 100 percent in it. Forget week-long vacations. Really understand your clients/customers/target audience. Do your homework on who your clients are. Make sure that whatever you are creating, you have family members or friends who would actually use it. Find out all you can for free from them. After that, take your idea of the product or service, put it in a presentable format, and take it to a friend of a friend of a friend who won’t be afraid to tell you what they really think. Get connected. Every interaction is a potential opportunity! Networking is the best way to get ahead in the world. In the online world, use LinkedIn, Facebook, Twitter to get connected with potential customers, investors, advisors. In the offline world, go to conferences and after-parties in your field and connect with entrepreneurs. You never know where or how your paths will cross. Prioritize. Whatever you are producing, aim to be the best and don’t settle for mediocre. That being said, make sure to have priorities on which components should be done first and will have the most impact. Iterate countless times at the design phase until that component is simple to use/understand. Team up. And if you want a partner, find a good one and be a good one. A good partner can make or break your company, especially if you are not used to the highs and lows of entrepreneurship. Having a partner to bounce ideas off of is much different than bouncing those ideas off of friends and family. You need someone who will be immersed in the business just as deeply as you are for an effective partnership. Find your balance. Remember to take short day-long breaks here and there. Burning out is very inefficient and can happen quickly if you go too hard for too long. Take a weekend off and recharge once in a while. Say what you mean and mean what you say. Keep promises. Don’t change meeting times. Be reliable. Make it fun! Starting up is hard work, but that doesn’t mean you can’t have fun. If you’re doing something you love, this part is easy. My advice for aspiring entrepreneurs is simple: Start by doing something you love. If you currently work full time, pursue your idea after your official work hours. Join groups, go to conferences, ask questions and always keep your eyes and ears open. With enough dedication, you will surely find something that can be created, done better or done more efficiently. When you do, jump in – that’s when the hard work (and roller-coaster life) really begins. In June 2013, Kristaps founded BookMyCity.com. BookMyCity is an online promotion, booking and scheduling platform for service-oriented businesses. It lets customers find all sorts of services in their area and book appointments right on the spot.